Brighter, vivid projectionWhite brightness alone cannot bring the True Colours you see every day. 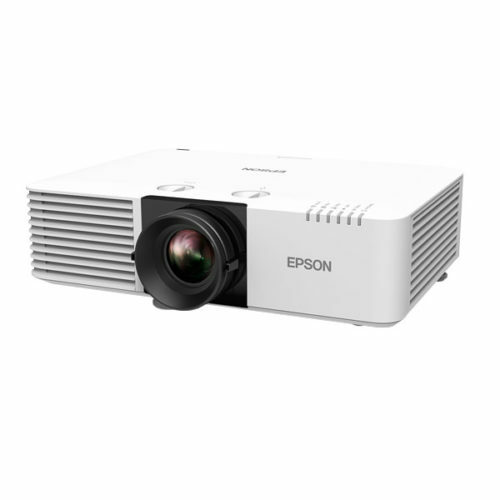 While other manufacturers of 1-chip DLP technology believe they can improve image quality by just increasing the brightness of their projectors’ white light output, Epson ensures that its projectors combine brightness and True Colours to create vibrant and realistic images with 3LCD technology across every projector model. Inorganic ComponentsEpson’s newly developed phosphor wheel is made of inorganic material with superior light and heat-resistance to deliver excellent reliability. We’ve also developed inorganic LCD panels – a key component of imaging devices. Combining an inorganic phosphor wheel with inorganic LCD panels in a laser projector, results in bright and vibrant images for long periods. 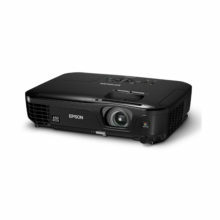 6,000 lumensPowered by 3LCD technology and Epson’s laser optical engine, the EB-L610W is capable of producing White Light and Colour Light Output of 6,000 lumens in WXGA resolution, delivering captivating images in virtually any venue. Custom brightness adjustmentThe laser light source also lets you take control of brightness with precise adjustment in increments of 1% and a constant brightness mode that maintains brightness at a specified level. This makes it easy to adjust the brightness to fit to your viewing environment, and can prolong projector life. Manual Lens Shift, Zoom and FocusThe manual lens shift covers a wide range, offering a great deal of flexibility when installing the projector. 5 Year Warranty**Experience complete peace of mind with the 5 year warranty. This ensures reliable long-term performance and gives you the freedom to concentrate on your presentations. Incredible HDBaseT and Diverse ConnectivityCutting-edge HDBaseT technology means just one single CAT-5/6 cable carries Full HD video, audio, network and control commands up to 100 metres to accommodate large venues. No need for additional cables, signal repeaters or added labour. 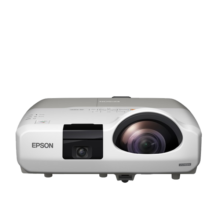 360 Degree ProjectionThe Epson EB-L610W can be rotated 360° in any direction for off-axis positioning flexibility. As a result, they can be used for a wide range of applications, such as projecting on the ceiling or floor, or as part of a rear-projection system. 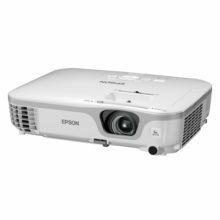 Epson technology keeps the projector running without compromising performance or causing overheating. Digital Split ScreenSplit Screen allows users to display content from two inputs simultaneously, side by side, on a single screen with the option of three different layouts. 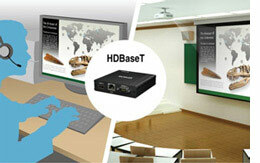 This makes it possible to display video and presentation materials simultaneously, or run video on both screens. Content PlaybackSave videos and photos to USB flash memory with our dedicated application, and project them instantly without the need for a PC. 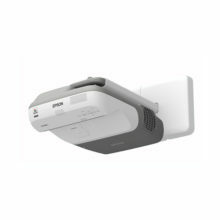 Collaborative PresentingMultiple users can connect simultaneously to one projector using Epson iProjection software which allows you to display four individual PC screens simultaneously over the network (wired or wireless), with up to 50 users connected to the same projector. You can drag and drop participants into or out of one of the four quadrants. This feature is a great tool for meetings or classroom projects where multiple users want to present and compare their screens. You can also connect up to four remote projectors at the same time and show the same multi-screen image; another great tool for remote meeting setups. 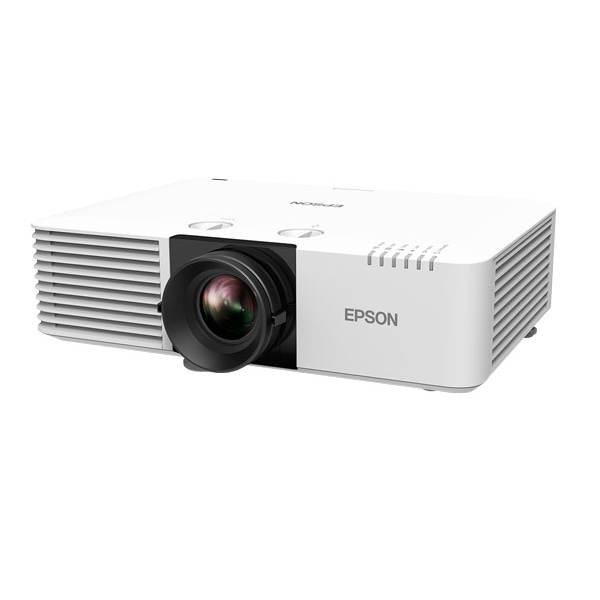 Simple ControlUse features such as Epson Projector Management software to monitor and control projectors, with fleet control across a network or on a web browser to keep track of up to 2,000 projectors. The latest models feature a newly designed OSD Control Pad function that shows a representation of lens conditions on a smart device. Universal Ceiling MountsEB-L610W is compatible with ceiling mount ELPMB22. If you are already using ELMB23, simply attach the lower parts of ELMB22 to EB-L610W. This eliminates the need for additional cable work or other construction.